In the last webinar around #Domino2025 time was spent on announcing NodeJS to/for/on Domino, a new search engine, NSF improvements but very little was discussed about the AppDev environment. Today we have XPages as AppDev tool. Nothing about the lifecycle of this was announced. Or embracing an open source UI framework for JSF like Primefaces. Some words about an “open IDE” environment which might be good to have the option to choose your favorite development environment. But the main problem I have that the whole webinar sounded like a complete U-turn in technology. What will be your options as a Java developer? Is there hope that JSF on Domino will be upgraded to a recent version so you can bring in new opportunities to your applications? What must companies do with their existing XSP applications? Re-write them (again)? To me it sounded IBM is keeping its hands of from developing and maintaining any development framework. The “traditional” Domino development framework with forms, views, pages, subforms is left dead. 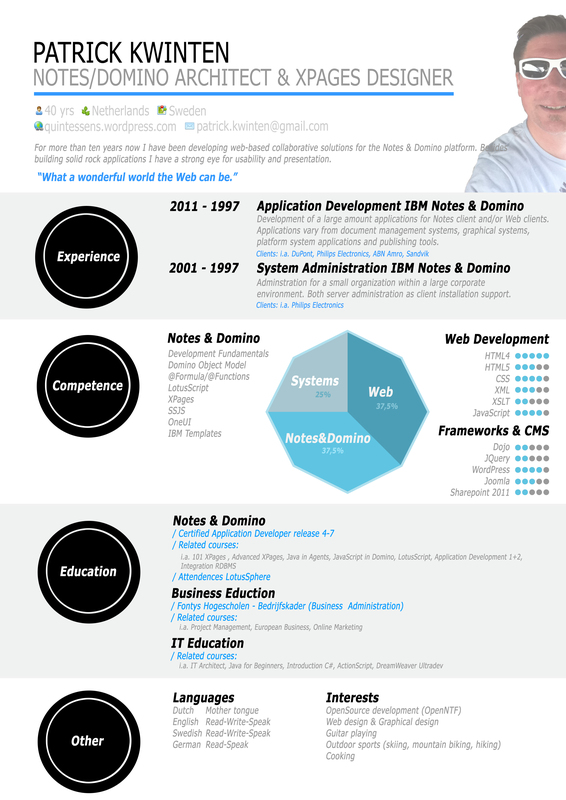 The “Web 2.0” Domino development framework with XPages and Java will be left for dead. The only thing that remains is a platform where applications reside, services like mail, replication, http, etc runs on. BUT WHAT ABOUT APPDEV? I am not aware if there are any drag and drop IDE’s for react or angular but the power to Notes was and has always been rapid application framework. I build applications in close relation to my customer (an IT manager or a LOB manager) which does not have the time or competence to set up and gather all the specifications in front. It is a journey of implementing capabilities and discovering opportunities. I may develop a new idea within an hour or rebuild or remove another idea within another hour. I heard nothing about this during the webinar! So after some dark words from David Leedy I created a video about using some tooling to tackle the problem with using Font-Awesome in XPages. These tools (Node, Bower, Grunt) you could also use in other situations. Another use-case could be the AMD loading conflict with Dojo. So I would like to thank David Leedy for granting me the opportunity to talk technical outside the Yellow Bubble. I also thank Oliver Busse, who did a great job in his first time appearance as host. My video you can watch via this link.